UK TV ABROAD | The BBC's commercial arm BBC Worldwide is launching a new premium drama channel in the Netherlands, followed by Belgium and Luxembourg. The new channel, BBC First, will be distributed in the Netherlands by KPN from 16th May, with other platforms across the Netherlands, Belgium and Luxembourg to follow. Programme highlights include Wolf Hall, Silent Witness and Last Tango in Halifax. BBC First will be available with Dutch subtitles. BBC First will sit alongside existing BBC Worldwide channel BBC Entertainment in the region. 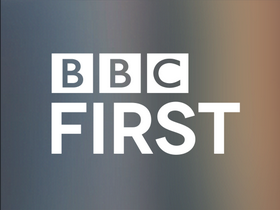 It's the first time BBC First will be available in Europe, following a successful launch in Australia last year. It is one of three new channel brands that BBC Worldwide are rolling out in parts of the world, the others being BBC Brit and BBC Earth, which have recently replaced BBC Entertainment and BBC Knowledge in Scandinavia. In the Netherlands and Belgium, the BBC's UK channels are distributed on many platforms, with BBC One and Two available as pay TV channels on Dutch terrestrial TV. This arrangement dates back to the early days of cable TV in the region when cable operators relayed the channels via aerials receiving terrestrial overspill signals from the UK. However, viewers there don't have access to the UKTV channels, co-owned by BBC Worldwide, that recycle BBC programmes to UK satellite, cable and terrestrial viewers.